If you are a subscriber of mine you may have noticed I tend to send out emails almost on a daily basis. A lot of marketers would say this is far too often but I would disagree with that, as long as you have your subscribers interests at heart I think it’s fine to email daily. However, this does not mean you should be promoting a different product every day. Unfortunately, most marketers seem to think it’s ok to promote product after product on a daily basis and use a churn and burn approach when it comes to email marketing, each day promoting something different and hyping things up. The end result is your subscribers end up confused and usually end up hitting the unsubscribe button. What I try to do is offer value but also educate my subscribers when I send out a promo. If your subscribers feel you are educating them about the product you are promoting then they are more likely to check it out and possibly make a purchase. I also think it’s better to be honest when you promote something and avoid hype. We have all seen the hyped up emails promising that this latest product getting promoted is ‘the one’ only to repeat the process tomorrow, and the next day, and the next. I mean why would anyone think that telling their subscribers every single day the product they are promoting is the next big thing is beyond me. Keep that sort of promo for when something really big does come along and you’ll get much better results and respect from your subscribers. Now we have that out of the way let me tell you about the ‘Triple Threat’ method that I have perfected. I find it works really well and usually results in me getting at least triple the sales that I would receive from 3 average promotions. 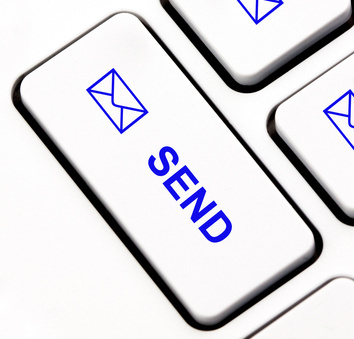 This method involves sending 3 promotional emails in a 36 – 48 hour period. It is crucial with any email promotion that you follow up, this is something a lot of marketers fail to do. I tend to find that I receive more sales from my second email than my first. I then send a third and final email to complete the promotion and this usually results in even more sales again. You will also have much better results using this method if you can secure a 48 hour discount or run your promotion at the end of a launch. Let’s say someone has a 7 day launch going on, if you used this method in the final 48 hours you would smash it. This is how I tend to do it, I am using a recent promo for PLR Monthly as an example. This was a 7 day promo and I only got on board in the final 48 hours, the result was I generated over $2000 in recurring monthly commissions. Email 1. The initial email introduces the product and educates the reader about the product I am promoting. Here’s the first email. mega sale for PLR monthly and it’s that time once more. 48 hours remaining of the 7 day sale. auction sites, the kindle market place and much much more. from this amazing PLR Special. And over 30 more profit pulling niches to earn you a fast income. amazing discount and huge $800 bonus. Email 2. Around 12 – 18 hours later I send out a second email, this is a reminder email that basically reinforces the message I sent in my first email. I also try to bring some urgency into my email. Here’s the second email I sent in this particular promo. lifetime opportunity up for grabs with an $800 bonus. Email 3. I really build up on the urgency in my third and final email, I may have some sort of ‘final notice’ in my email, I also usually say this is the last time I will be talking about the product I am promoting. If done right this final email will bring in the most results. to grab the latest exclusive offer from the guys at PLR Monthly. You need to be fast on this one as it’s ending at MIDNIGHT TONIGHT. Obviously, the type of emails you send depends on the product you are promoting but for the best results try to educate your subscribers, try to get good deals, try to offer bonuses and above all have your subscribers interests at heart. This promotion was so successful that we have now added a script to the page to only show the offer for 48 hours and I am now promoting it via autoresponder sequence on autopilot. If you do try this ‘Triple Threat’ method please let me know how you get on as I’d love to know how it works for you and as always, your comments are welcome. 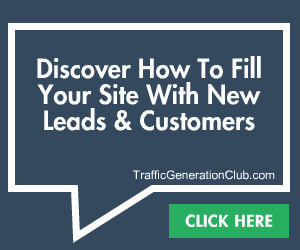 3 replies to "Triple Your Commissions With The Triple Threat Method"
I’ve already subscribed to your free monthly website 2.0 but never able to upload to the filezilla as shown in your videos. the host as stated is our domain name but never it can register as stated server not found. Please contact support who will be able to help you. Hi John, thanks for sharing your triple-threat method! I’m going to try it on my list the next time I promote something, but I need to put together a good bonus package first. Do you offer, or know of, a product that will let me easily create a nice bonus page, etc? I seem to recall seeing something like that but I’m not sure where..